Liverpool moved back to the top of the Premier League with a 3-0 win over Bournemouth at Anfield on Saturday. Goals from Sadio Mane, Georginio Wijnaldum and Mohamed Salah helped the Reds move three points clear of Manchester City, who play Chelsea on Sunday. Mane's headed opener on 24 minutes settled any early nerves at Anfield as the Senegalese forward continued his recent run of scoring crucial goals for the Reds. The No.10 has now netted in four consecutive Premier League games for the first time in his career, helping Liverpool to take eight valuable points in the process. Mane bagged Liverpool's final goal - which proved to be the winner - in the thrilling 4-3 victory against Crystal Palace last month and then scored the Reds' single strikes in a pair of 1-1 draws with Leicester City and West Ham United. 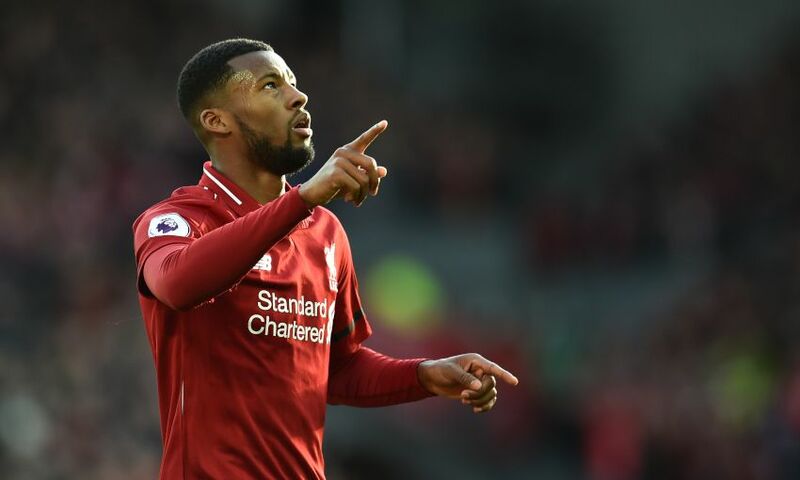 Back in the side after recovering from the sore knee that kept him sidelined for the West Ham game, Wijnaldum marked his return with a wonderful goal to double Liverpool's lead. 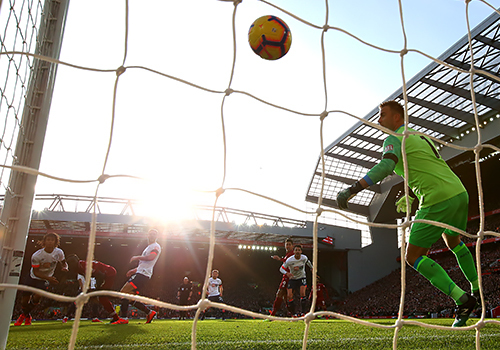 Playing as a more advanced midfielder in a 4-3-3 system, alongside Fabinho and Naby Keita, the Dutchman broke forward to connect with Andy Robertson's lofted pass over the defence and, after an excellent first touch, executed an exquisite lob over Cherries goalkeeper Artur Boruc. The No.5, who had also been suffering with illness over the past couple of days and had to remain separated from the squad, also set up three goalscoring opportunities for his teammates and enjoyed a 91 per cent pass completion rate. Just minutes into the second half, Salah and Roberto Firmino combined brilliantly to produce a strike that rivalled Wijnaldum's seemingly peerless effort for best goal of the match. Racing onto Keita's through ball, Firmino shaped to shoot on the right of the box but instead laid a perfect backheel pass into the path of Salah, who made no mistake at the Kop end. 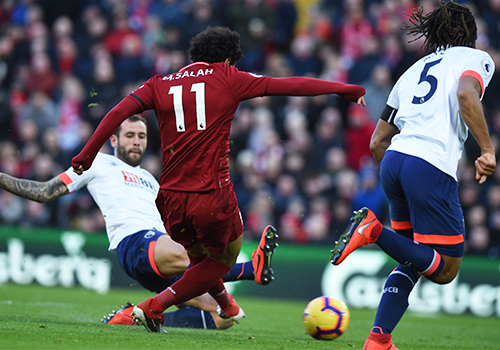 The Egyptian has now scored 49 times in 62 top-flight games for Liverpool. The Premier League record for fewest matches to reach 50 goals for a single club is 66, set by Alan Shearer at Blackburn Rovers in the 1990s. The victory over Bournemouth means Liverpool are now unbeaten at Anfield in the last 34 league matches (24 wins and 10 draws) and Jürgen Klopp's side equal the club's second-longest undefeated run ever at home in the league - set from 1970-71. 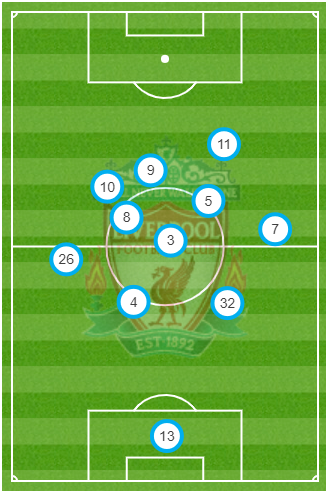 It was also the Reds' first clean sheet at home this year. And that was in no small part due to the great work from Keita in shielding his defence. The Guinean midfielder led the team in tackles (six), possession regains (12), total duels (15) and had more touches (120) than any other player on the pitch. 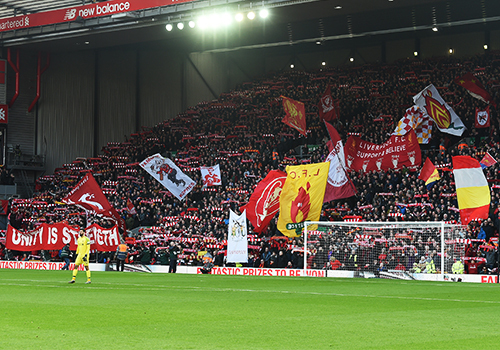 Liverpool manager Klopp said in his pre-match press conference that he wanted the fans to 'shout their soul onto the pitch' and the 50,000 Reds at Anfield did not disappoint. The traditional rendition of You'll Never Walk Alone was quickly followed by Fields of Anfield Road as the Kop set the tone for the match. But the fans delivered arguably their most rousing moment when Wijnaldum received a spine-tingling standing ovation, and his replacement Trent Alexander-Arnold a warm welcome back from injury, on 76 minutes. "We know what we have to do, we on the pitch and the people in the stands," Klopp had said pre-match. Both the players and fans delivered brilliantly.